Are you getting ready to move to Colorado? You are not alone! Colorado has experienced growth since the 1930’s. Below are a few reasons that people are moving to our beautiful state. Before you look for properties for sale in Colorado, get excited about all of the wonderful things in store for you! Colorado has an average of more than 300 sunny days per year – more than Honolulu, Miami, and San Diego. Colorado is fast becoming the leader in High Tech for Alternative Energy. Colorado residents have access to more than 35 ski areas and 15 million acres of national parks. Denver International Airport (DIA) is currently the fifth busiest airport in the country and the 10th busiest in the world. DIA is larger than Chicago’s O’Hare Airport and the Dallas-Fort Worth Airport combined. The median age of residents in Denver is 36 years compared to the national average of 38. Professional sports teams in Denver include the NFL Super Bowl champions Denver Broncos, the NBA’s Denver Nuggets, the NHL’s Colorado Avalanche, and MLB’s Colorado Rockies. 34.5% of Denver’s population has a four-year college degree compared to the national average of 16 %. Denver’s recreational facilities include more than 100 parks, a dozen museums, two amusement parks, two water parks, US Mint, Denver Botanical Gardens, Denver Zoo, and a large performing arts complex. 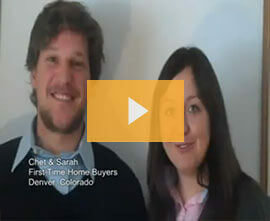 Colorado exclusive buyers agents can help you move to Colorado. Whether you are moving for work, or to enjoy our beautiful surroundings, they have the experience to locate, negotiate and purchase the home of your dreams! Get started today by filling in our find an agent form.